To preserve client privacy in the data mining process, a variety of techniques based on random perturbation of individual data records have been proposed recently. In this paper, we present FRAPP, a generalized matrix-theoretic framework of random perturbation, which facilitates a systematic approach to the design of perturbation mechanisms for privacy-preserving mining. Specifically, FRAPP is used to demonstrate that (a) the prior techniques differ only in their choices for the perturbation matrix elements, and (b) a symmetric positive-definite perturbation matrix with minimal condition number can be identified, substantially enhancing the accuracy even under strict privacy requirements. We also propose a novel perturbation mechanism wherein the matrix elements are themselves characterized as random variables, and demonstrate that this feature provides significant improvements in privacy at only a marginal reduction in accuracy. The quantitative utility of FRAPP, which is a general-purpose random-perturbation-based privacy-preserving mining technique, is evaluated specifically with regard to association and classification rule mining on a variety of real datasets. Our experimental results indicate that, for a given privacy requirement, either substantially lower modeling errors are incurred as compared to the prior techniques, or the errors are comparable to those of direct mining on the true database. A partial and preliminary version of this paper appeared in the Proc. of the 21st IEEE Intl. Conf. 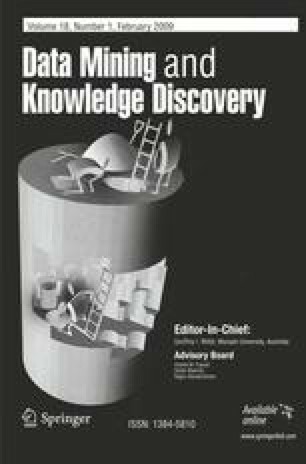 on Data Engineering (ICDE), Tokyo, Japan, 2005, pgs. 193–204.